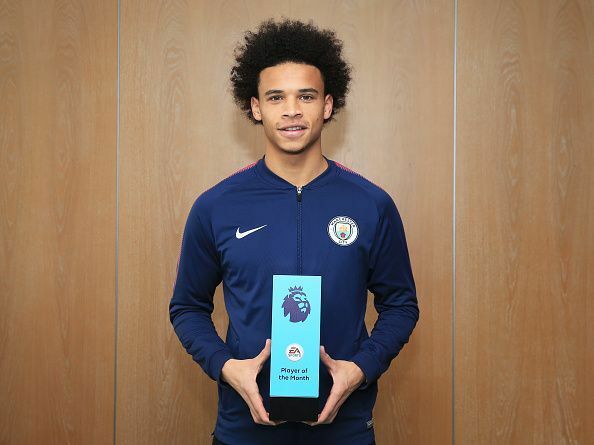 Leroy Sane is a German footballer who was born on 11th January 1996 in Essen, Germany. Sane plays for Manchester City and the German national team. Leroy came from a family with a sporting background, with his father being a professional footballer himself. He began his youth career at one of his father’s former clubs, SG Wattenscheid 09 when he was five years old. Sane moved to Schalke 04 four years later and then moved to Bayer Leverkusen in 2008. However, he returned to Schalke 04 and made his Bundesliga debut in 2014, coming on as a substitute in a 3-1 defeat at Stuttgart. In 2016, he joined Manchester City and he has been at the club ever since. For Germany, Sane made his senior debut in November 2015 against France in Paris. Sane is a left-footed player who can operate on either flank as a winger. The German possesses blistering pace and is one of the most fleet-footed attackers in the world. Moreover, his finishing is superb and he has been a prolific goal-scorer and assist provider for his club.